There’s been a bit of a theme from the recent spate of major OEM electric vehicles: they’ve all been crossovers. We get why - given the meteoric rise of the SUV over the last decade, it makes sense that manufacturers would use electric versions of these high-riding hulks to convince people to go EV. 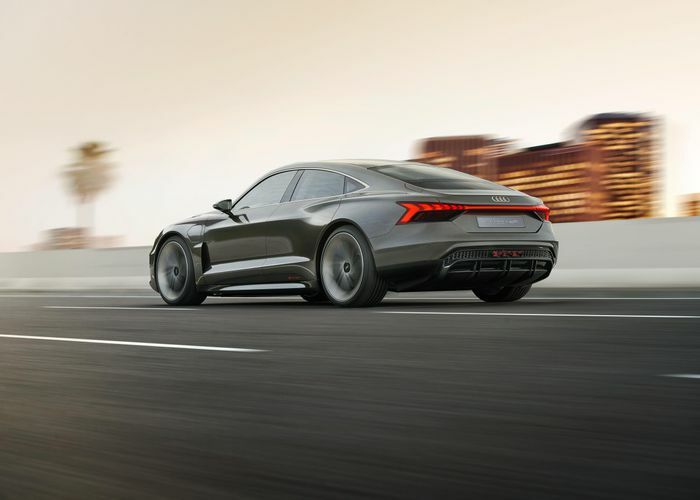 Thankfully, though, if you want a posh electric vehicle that’s not an SUV and not a Tesla, Audi has (or will have in a year or two) an option in the form of the E-tron GT. 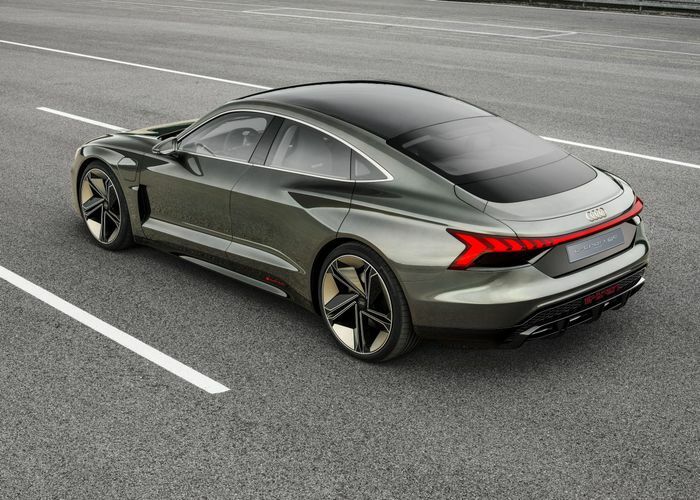 And while the car you see here may be a concept, the company has already confirmed there’ll be a production version arriving in 2020. Drive comes via a pair of electric motors - one for the rear axle, and one for the front - hooked up to a 90kWh battery. 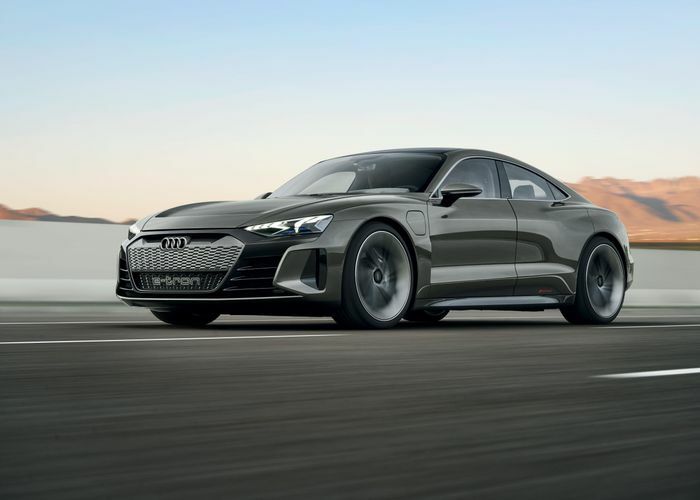 The total system power is 582bhp, making 0-62mph possible in “around 3.5 seconds,” Audi says. 0-124mph is an equally impressive 12 seconds, while the top speed is limited to 149mph. According to the new WLTP cycle, the E-tron GT has a range in excess of 248 miles. Hook it up to one of the fastest chargers available and you’ll come away with an 80 per cent charge in around 20 minutes. That’s enough for 198 miles of range, again a WLTP figure. The GT also recuperates a lot of energy under braking. Some 90 per cent of the time, the motors on their own will slow you down, but if you need to stop a little more urgently, the hydraulic brakes step in. They’ll be able to take some abuse too, as the rotors are carbon ceramic. We can only assume they’ll be designed to work from stone-cold temperatures. The fitting of those fancy brakes is the first clue that this is more than just a straight-line weapon. Audi is keen to point out that the under-floor location of the battery pack gives the car a very low centre of gravity, one that’s on par with Audi’s own R8. Consider our eyebrows raised a little. The motors have a torque vectoring function too. Inside, you’ll find a centre console that’s supposed to look like it’s floating, a digital instrument cluster and a touchscreen infotainment system. We’re more interested, however, in what you won’t find: animal-based products. 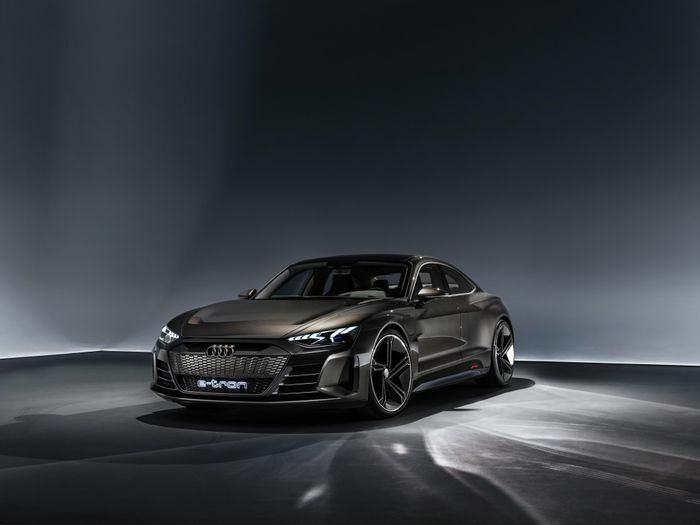 Audi claims the E-Tron GT has a ‘vegan’ interior, with synthetic leather used instead of the cow-derived variety. The seat cushions are made partly from recycled fibres, while the carpet is made from something called Econyl yarn, a material made from old fishing nets. 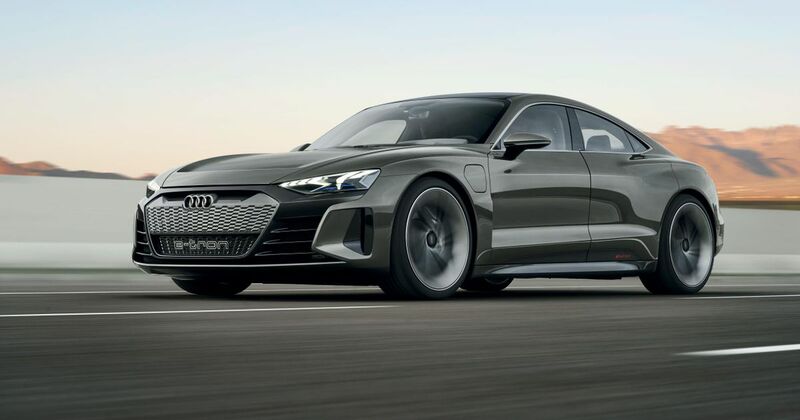 Following a 2020 debut, Audi expects customer deliveries of the production version of the E-Tron GT to begin in 2021. The concept is on display at the LA Auto Show now.